JAPAN coach Asako Takakura downplayed her side's favouritism for Saturday morning's AFC Asian Cup final in the wake of the Matildas' ordinary semi-final performance. 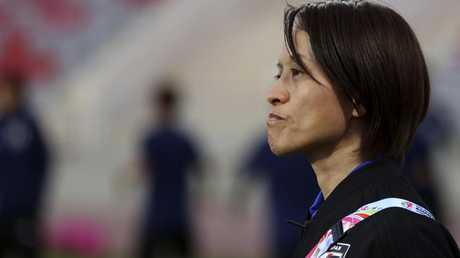 Takakura declared she had three objectives entering the tournament in Jordan - to qualify for the 2019 FIFA World Cup, defend the Asian title and ensure her team continued to rejuvenate, especially after they were criticised for not developing players after winning the 2011 World Cup - and all looked in good order. "We're just focusing on what we can do and what we should do," she said. Japan looked very impressive in beating China 3-1 in their semi-final. 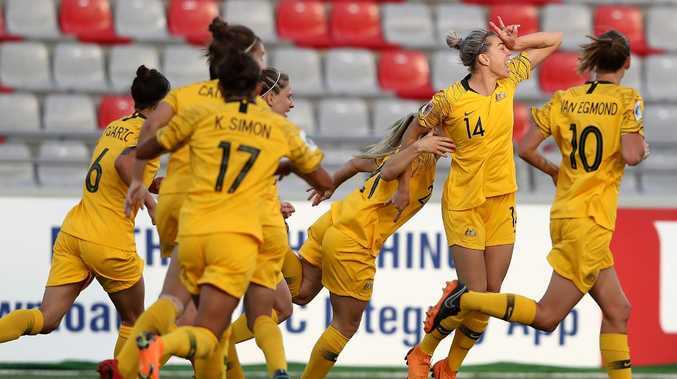 Australia, on the other hand, edged past Thailand on penalties. Meanwhile, Matildas coach Alen Stajcic is confident his side would recover from the gruelling 120 minutes of action against the Thais. Stajcic called off training in Amman on Thursday night (EST) in an effort to aid recovery. Asako Takakura has her Japan side primed for a big title defence. The side is expected to have a brisk final session on Friday before Stajcic reassesses the fitness of his side. Stajcic's main concern is whether Wednesday's penalty hero Sam Kerr can recover from a hip complaint she picked up last week. Veteran attacker Lisa de Vanna was showing worrying signs of fatigue. The upside is Chloe Logarzo, who is sporting a black eye after a head clash against Japan last week, has recovered from illness. Logarzo was visibly ill after the semi-final at King Abdullah II Stadium.